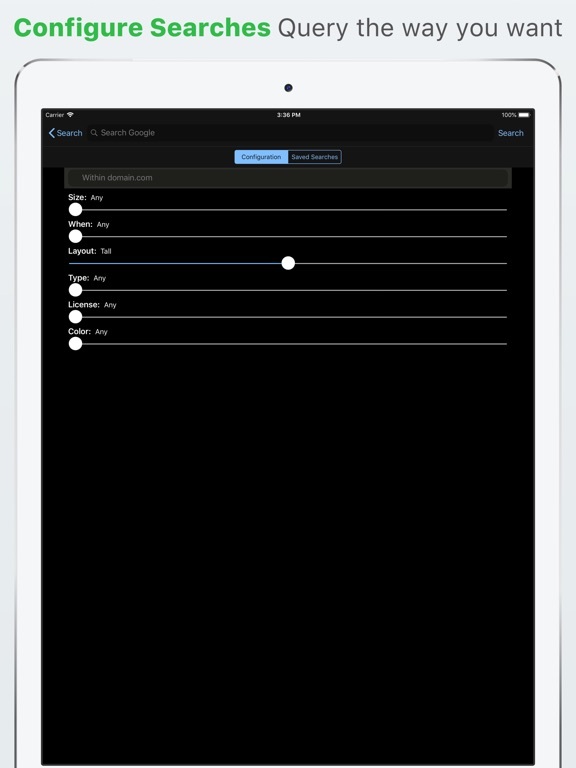 picTrove 2 van Traversient Tech LLP is een app voor iPhone, iPad en iPod touch met iOS versie 8.2 of hoger, geschikt bevonden voor gebruikers met leeftijden vanaf 17 jaar. 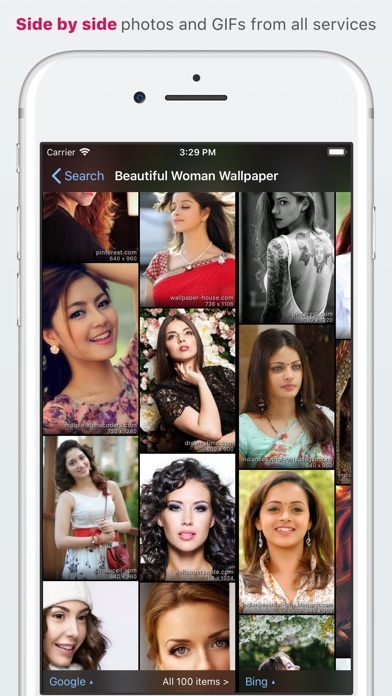 The best app to search photos from the Internet. Browse beautiful photos from multiple Internet services arranged side-by-side for maximum efficiency. 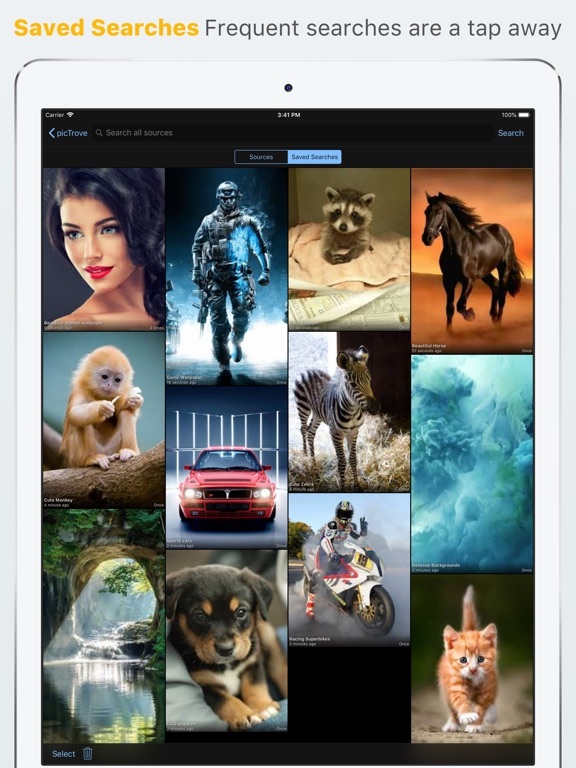 picTrove 2 finds the highest quality photos, shows a crisp image resized to your device resolution, and saves the original files for later actions. picTrove 2 searches Google, Bing, Yandex, Flickr, 500px, Twitter, Instagram, deviantART and Giphy natively. 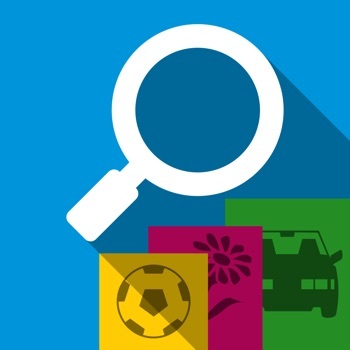 Searches on Tumblr.com, Blogger.com, Wordpress.com and Pinterest.com are powered through web search for the ultimate experience of browsing photos side-by-side from a total of 13 search services! * Search query customization: Query each service for exactly the results that you want, with easy slider controls to change settings. * Side-by-side search: Thumbnails of results from all the services are available next to each other, so you can efficiently find the photo you're looking for. * Browse Deeper: When you find a photo you like, you can dive deeper into the site or user to find more photos. Both Google and Bing results support website based actions. Flickr, 500px and Twitter results support user actions to find more photos by the user. 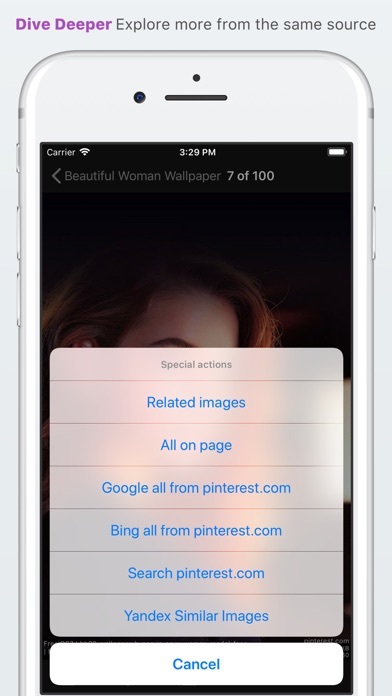 * URL share action: While browsing in Safari or other supporting apps use the powerful URL share action to open any website in picTrove to search and see all photos from the website. * Full image pre-fetching: As you browse through full photos, picTrove downloads the photos ahead of your current place so you don't have to wait for them to load when you get there. * External screen support: Hook up an external screen with Airplay mirroring, or with an external screen adapter and see the full photo on your large TV screen! 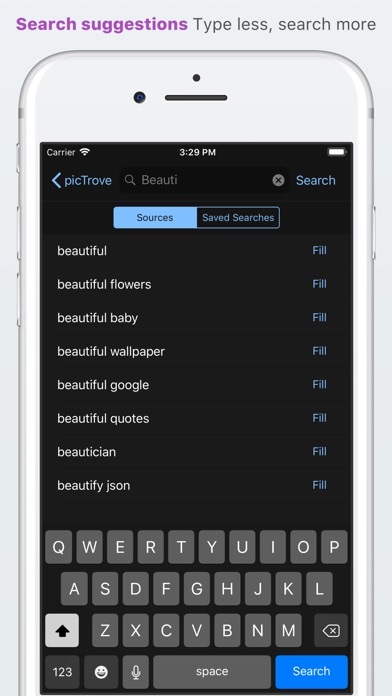 * Saved Searches: picTrove automatically saves your search phrases when you navigate to the full view of any result, for easy re-use. 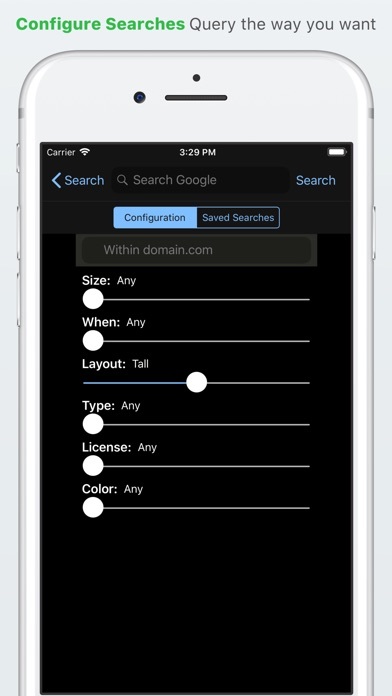 Saved searches can be automatically cleared by app settings. * Extensive display and app customization: Many settings to control exactly what details you want to see on thumbnails and full photo view. picTrove 2 is fully customizable as per your preferences. * Photo actions: Action buttons in the full photo view allow you to perform many different operations on any photo you like. Share and Open in actions allow you to integrate with any supporting app on your device. Web actions allow you to browse to the photo page in the inbuilt browser, Safari or Google Chrome. * API for "open URL" integration to search from other apps. 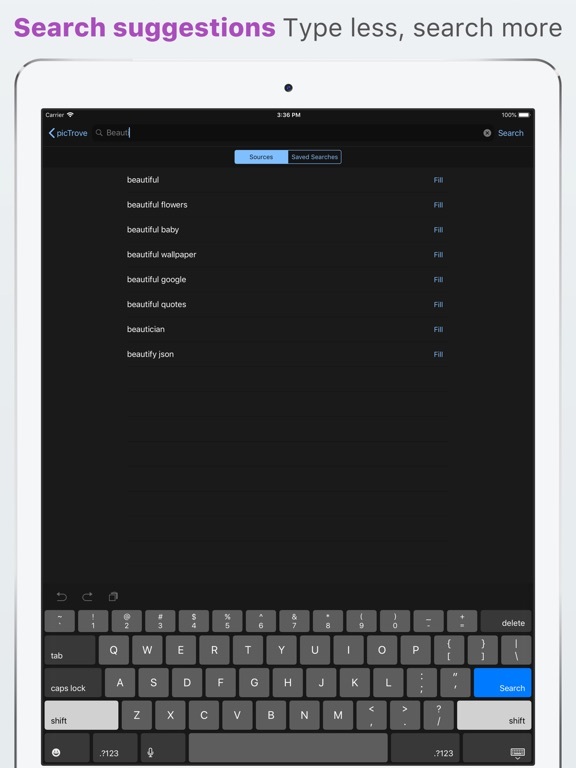 3rd party apps can trigger search in picTrove 2 pro with keywords or browse all images from a website. * Edit photos with Aviary editor: The powerful Aviary photo editor is included to edit any photo you like, to do everything from color adjustments to Meme making. * iTunes file sharing: Save a lot of photos in picTrove? Copy the original files to your computer; simply navigate to picTrove 2 pro in iTunes on your Mac or PC and copy to a local folder. Works on WiFi too! More services, features are always in development. picTrove requires a fast Internet connection for optimum usage. Twitter results are available only after logging in with your account. Please contact us with the inbuilt support email instead of posting bad reviews. Informatie voor picTrove 2 is het laatst vergeleken op 21 apr. om 07:02. Aankopen verlopen via iTunes, controleer daar altijd de meest actuele prijs, compatibiliteit en andere informatie. Je hebt een actieve iTunes account nodig om apps aan te schaffen. Fixed a problem where sometimes captions would appear garbled instead of showing their correct character encoding. 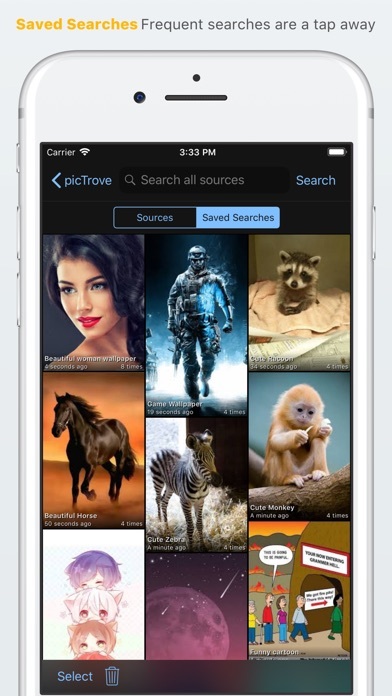 picTrove 1 Image SearchUniverseel · Gratis!